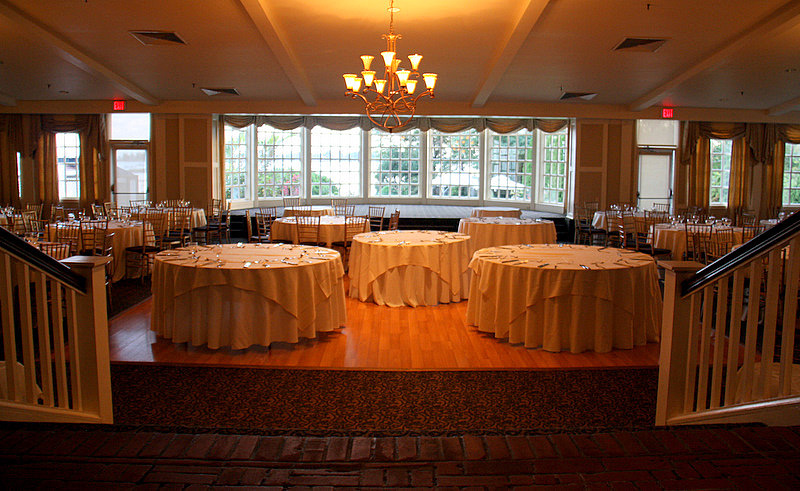 Originally built in 1890 as a private residence, by the early 20th century The Inn at Longshore had become “the in place” in Southern Connecticut to get married or hold an important event. The Inn is a living memorial to that early time, and we went there to get a sense of a special era in American history – we were not disappointed. As reputed, we found that little had changed over the years at the Inn. We talked with frequent patrons who were most appreciative that in a fast-paced world of constant change, there was still a place like the Inn, where past recollections were easily renewable – rather than part of a distant gossamer memory. The Inn’s classic country club architecture and setting is pleasing to the eye, and its intimate reception area is quiet, traditional, and comfortable. There is a definite air of deep-rooted elegance about the place. 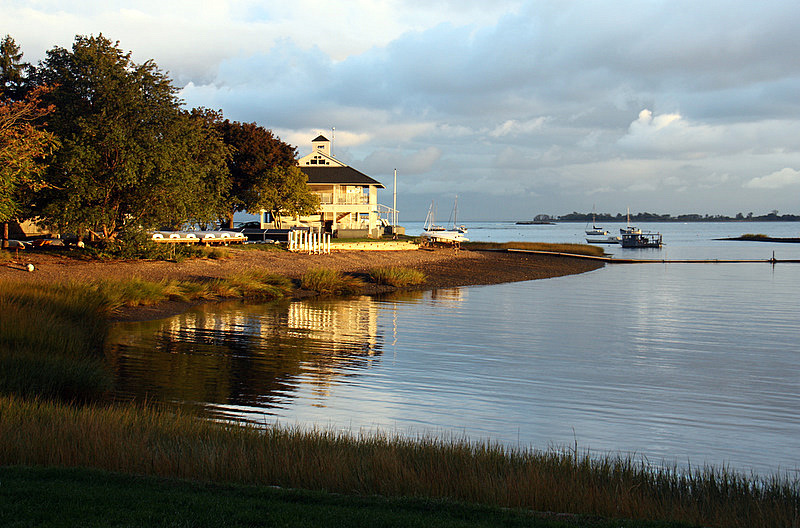 The 169 acre property on which the Inn is located once belonged to the private Longshore Beach and Country Club. 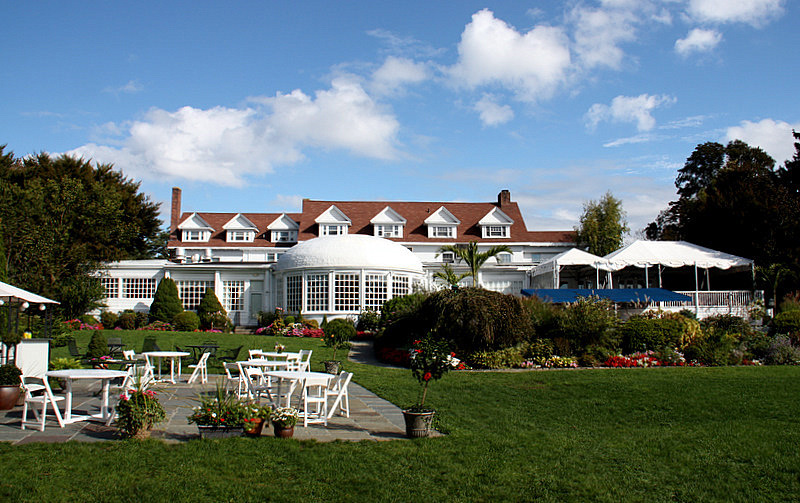 It was purchased by the Town of Westport in 1960 and is now the public Longshore Club Park with picnic areas, three swimming pools, tennis courts, a seasonal ice skating rink, playgrounds, a marina, sailing school, and an 18-hole golf course. Longshore is not “right next” to anything. 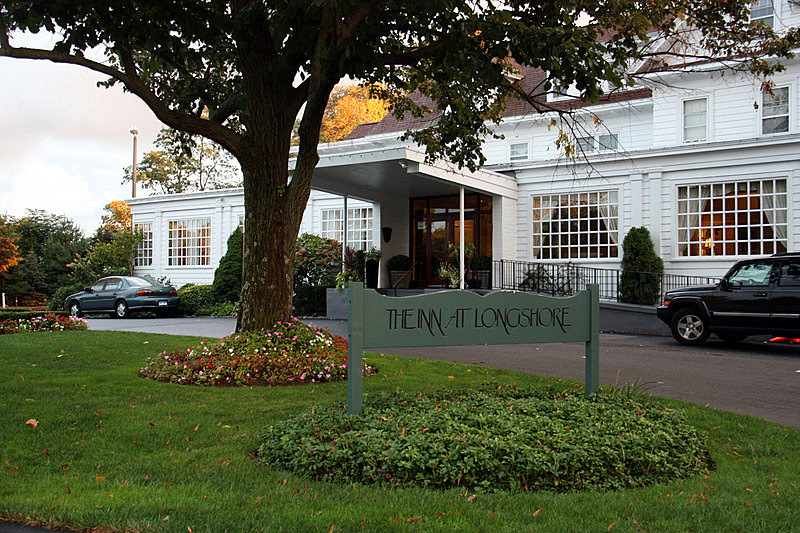 You stay at The Inn at Longshore because you like Westport, Long Island Sound, you enjoy golf, tennis, the pool, sailing, – or you are attending an event. The Inn’s setting is ideal for parties, weddings, bar mitzvahs, and corporate events – and thousands of them have taken place at the Inn over its many decades of service. The main ballroom/banquet hall is very large and can accommodate up to 290 guests. 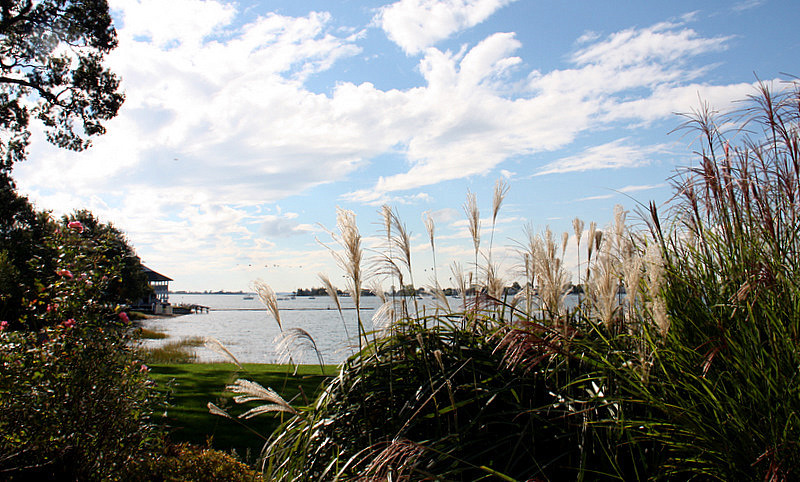 If your celebration will take place during the warm months, the back lawn of the Longshore can accommodate upwards of 500. We spoke with a young woman at dinner that was planning her wedding for the same date and in the same rooms where her parents had been married – 30 years earlier. She would also be wearing her mother’s wedding dress, and the significance of it all made her nuptial plans extraordinary and very special indeed. After checking in, we exited the banquet room at the back of the Inn, and walked the long stretch of lawn beyond the extensive rose garden and patio. As we looked around at the bucolic surroundings, we wondered how many thousands of delighted guests had made the same journey across the grass. We stopped at a site, watched, and listened to happy children learning to sail just off the nearby shore. It was easy to envision an earlier time when other guests stood on the very same spot, chatting, laughing, and perhaps dancing to the sounds of Glenn Miller, Frank Sinatra, and Ella Fitzgerald. There are 12 country-inn style guestrooms. The rooms have the feel of a private residence where tradition dominates and permeates. 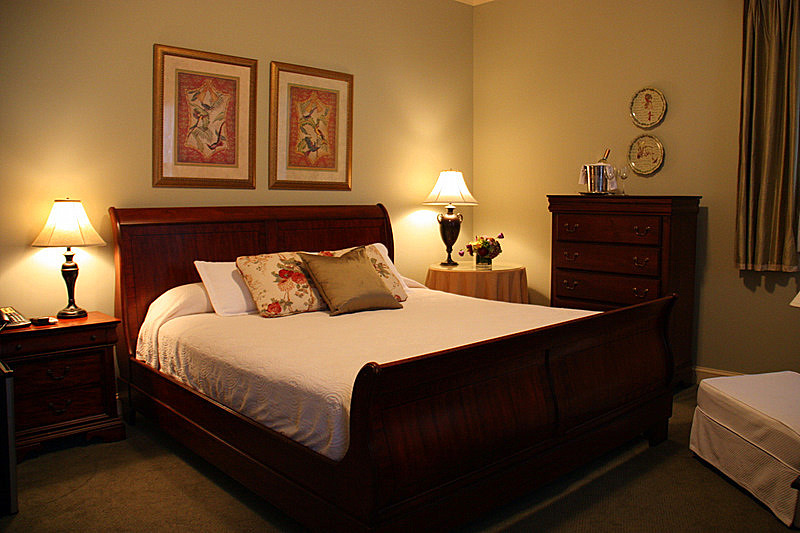 The furniture is comfortably urbane, and all the modern amenities are present. 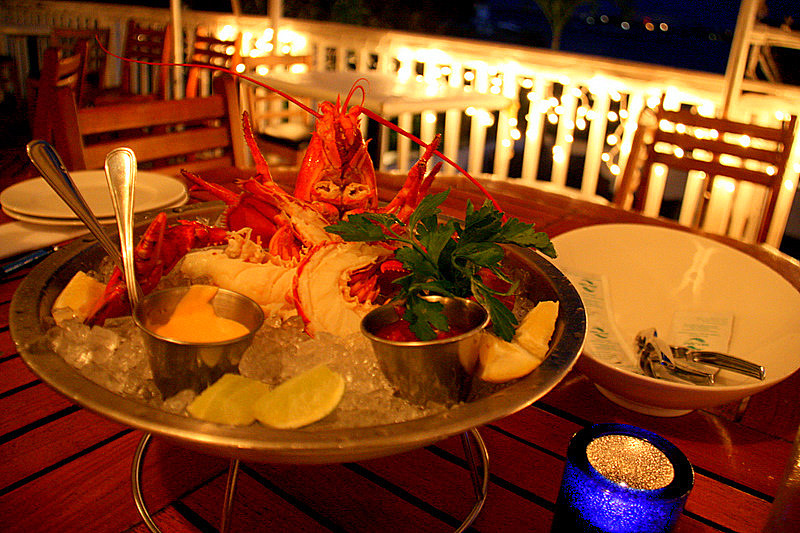 The Splash restaurant is attached to the Inn. The first impression upon entering the restaurant foyer is the curious change in style and décor from the accompanying Inn. 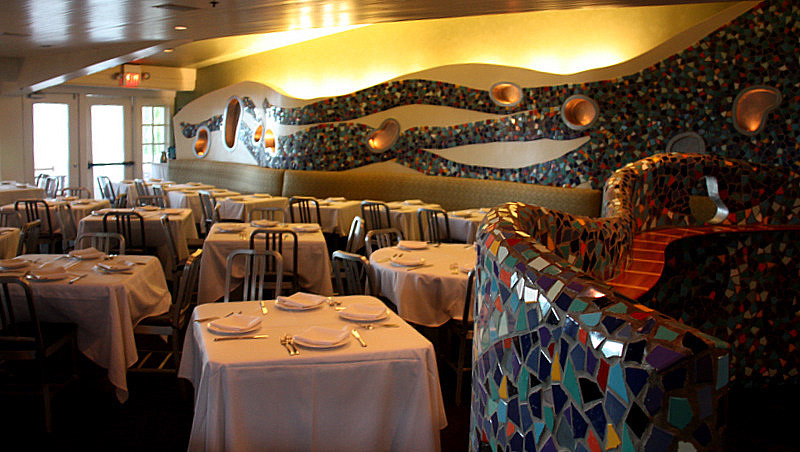 Opened in 1995, the jauntily decorated restaurant and bar is very artsy and avant-garde. For those who prefer their meals al fresco, the Splash provides outdoor veranda dining with a satisfying view of Long Island Sound. 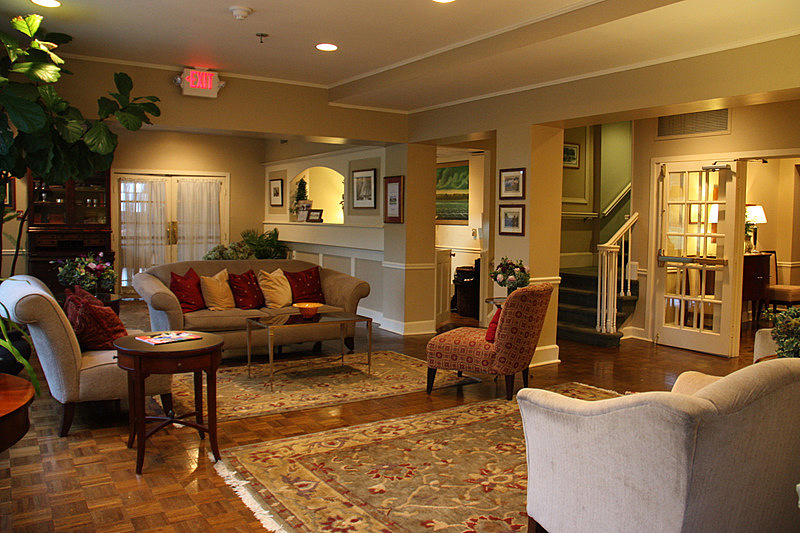 The Inn at Longshore is a place where memories are made and remembered. 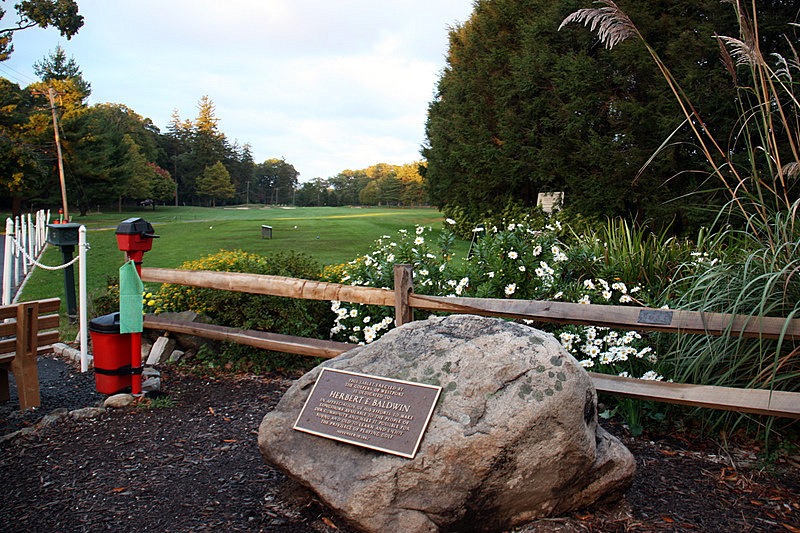 It is a dwelling of old elegance, where generations of families have dined and idled away the hours after a round of golf on the adjacent links – or an afternoon of fun, sun, and sailing on picturesque Long Island Sound. We enjoyed our brief stay at The Inn at Longshore and can recommend it to anyone who is looking for a great place to party or would enjoy a touch of mid-20th century upscale Americana. 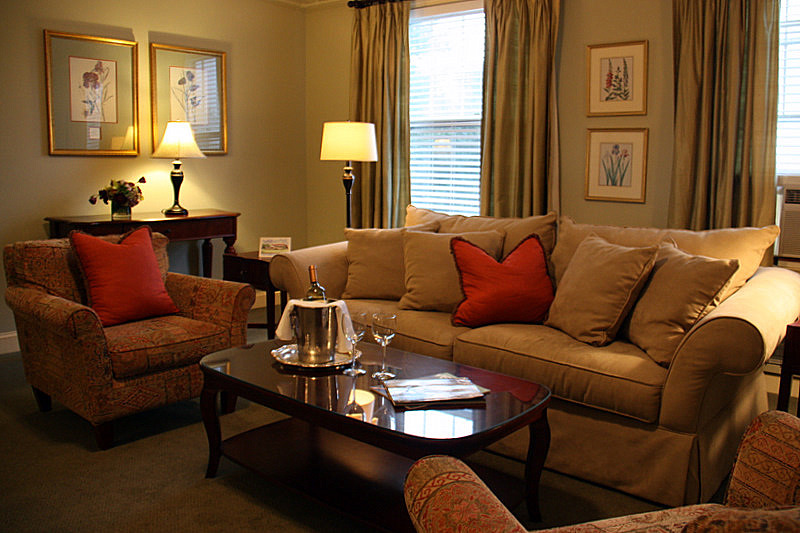 Historic and versatile, the Inn perfectly suits both romantic retreats and corporate getaways. The Inn is not far from Exit 17 on the Connecticut Turnpike (I-95) in tony Westport, Connecticut. For more information, or to get specific directions, look up their website at www.innatlongshore.com. The Inn’s telephone number in the United States is 203.226.3316.
like your ‘living memorial’ feature on connecticut’s historic hotel. thanks for sharing your travels with us!